Daytime Emmy Nominated series creator Michael Caruso announced plans today for an all new online soap opera. their success with DeVanity that they were serious about making a top notch series, and this team means business. I'm stoked to be working with them." As far as her feelings about playing Miranda, Martha had this to say. "Women are complicated! We have complex thoughts and emotions. We can be smart, loving, angry and powerful all at the same time for a hundred different valid reasons! Michael understands this and knows how to write for that kind of woman. I can't wait to play her." Former DeVanity co-stars, Golden Globe Nominee Gordon Thomson (Dynasty, Santa Barbara) and Michael Caruso will also reunite for the new series with Gordon playing Miranda’s father Maxmillian Winterthorne and Caruso playing her husband Victor. In addition to early casting news Caruso has also enlisted two time Daytime Emmy Winner Sonia Blangiardo to direct every episode of the series. In addition to her two Emmy wins for One Life to Live and As the World Turns, Sonia also received a Emmy nomination this past year for her online series Tainted Dreams. Production will begin in early Spring of 2015 with additional casting announcements. 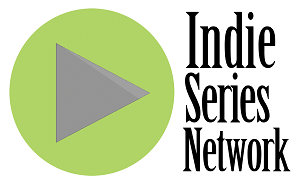 Indie producers may send press releases to info@indieseriesnetwork.org for publication on indieseriesnetwork.com.